The prestigious Italian brand owned by Fiat Chrysler Automobiles (FCA) today signed a multi-year technical and commercial partnership agreement with Swiss Sauber F1 Team for participation in the Formula 1 world championship beginning with the 2018 season. The single-seaters will sport the distinctive colors and logo of Alfa Romeo, the team’s Title Sponsor, and will be equipped with 2018 Ferrari power units. The scope of the agreement includes strategic, commercial and technological cooperation in all applicable areas of development, including access to engineering know-how and the expertise of Alfa Romeo technical staff. This partnership will provide additional opportunities for the two organizations in both Formula 1 and the automotive sector in general. 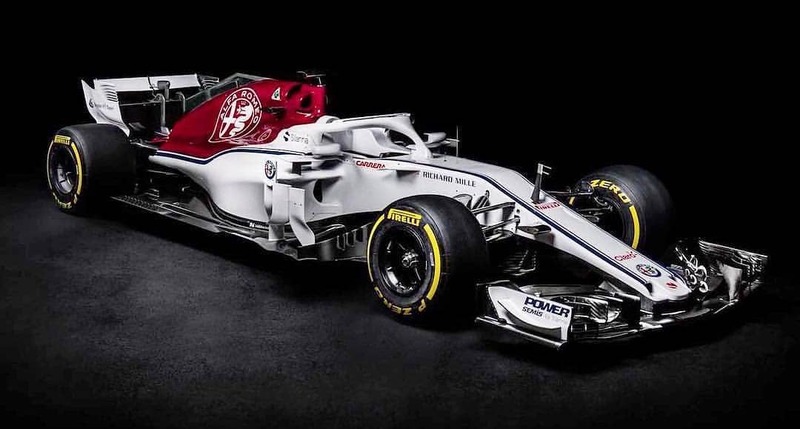 The official name will be Alfa Romeo Sauber F1 Team. The return of Alfa Romeo, one of the major protagonists in Formula 1 history, is expected to contribute significantly to the appeal and future development of the sport. Alfa Romeo brings with it technological know-how and a large and passionate fan base, while participation in the championship also offers benefits for the brand in areas such as technology transfer and road safety. Alfa Romeo is known around the world for its racing heritage and technological excellence. The undisputed champion of the pre-war Grand Prix (in 1925, the GP Tipo 2 dominated the first World Championship), Alfa Romeo participated in Formula 1 from 1950 to 1988, both as a constructor and engine supplier. Immediately upon its debut, Alfa Romeo won the first two drivers’ world championships, in 1950 and 1951, with drivers Nino Farina and Juan Manuel Fangio. From 1961 to 1979, Alfa Romeo participated as engine supplier to several F1 teams. Following its return as a constructor in 1979, Alfa Romeo achieved its best result in 1983, taking sixth place in the constructors’ championship. More than 30 years after withdrawing as a competitor from Formula 1 (1985), the brand is returning with the clear intention to make its mark. Alfa Romeo is a historic brand of FCA Group. Since its founding in Milan, Italy, in 1910, Alfa Romeo has designed and crafted some of the most stylish and exclusive cars in automotive history. That tradition lives on today as Alfa Romeo continues to take a unique and innovative approach to designing automobiles. In every Alfa Romeo, technology and passion converge to produce a true work of art. Fully reviving Alfa Romeo’s spirit and maximizing its global appeal has been one of FCA’s priorities. Following a clear and well-defined strategy, Alfa Romeo is writing a new chapter in its more than century-long history that represents an extraordinary opportunity to realize the brand’s full potential. Today, Alfa Romeo is a true showcase of the Group’s best resources, talent and technological know-how. Alfa Romeo is winning the hearts of a new generation and retaking its rightful position as one of the world’s most desired premium brands. It is, once again, one of the leading symbols of Italian engineering and style, an icon of Italy’s technological excellence and creative spirit. FCA designs, engineers, manufactures and sells vehicles and related parts and services, components and production systems worldwide through 162 manufacturing facilities, 87 R&D centers, and dealers and distributors in more than 150 countries. In addition to Alfa Romeo, its stable of brands include Abarth, Chrysler, Dodge, Fiat, Fiat Professional, Jeep, Lancia, Ram, Maserati and Mopar, the parts and service brand. The Group’s businesses also include Comau (production systems), Magneti Marelli (components) and Teksid (iron and castings). FCA is listed on the New York Stock Exchange under the symbol “FCAU” and on the Mercato Telematico Azionario under the symbol “FCA”. In 1970 Peter Sauber founded his company and designed his first racing car in the cellar of his parents’ house. The race team grew steadily and enjoyed its first major international successes in the late 1980s. As the Mercedes works team, Sauber celebrated a one-two victory in the Le Mans 24-hour race in 1989 and back-to-back Drivers’ and Manufacturers’ titles in the World Sports Car Championship in 1989 and 1990. In 1993 Sauber entered Formula One. Among the team’s F1 highlights have been a fourth-place finish in the Constructors’ World Championship in 2001 as an independent team and – in partnership with BMW – a one-two finish in the 2008 Canadian Grand Prix on the way to third place in the constructors’ standings that year. In 2010 Sauber became an independent outfit once again. 2012 was a very good year of the Sauber F1 Team, headlined by four podium finishes, 126 World Championship points and sixth place in the constructors’ standings. The 11th October 2012 marked a milestone in the history of the team – the day when Sauber stepped down as Team Principal and passed on the baton to Monisha Kaltenborn. Between 1993 and the end of 2016 the team contested 424 grand prix in Formula One. In 2017 the Sauber F1 Team celebrates another milestone: it is the 25th Formula One season in the teams’ history. The fourth oldest Formula 1 team starts together with its new owner, Longbow Finance S. A., into a new era. In 2017, Frédéric Vasseur was named as the new Managing Director and CEO of Sauber Motorsport AG, and Team Principal of the Sauber F1 Team. Sauber has its headquarters in Hinwil, in the Swiss canton of Zurich. The team’s state of the art factory houses manufacturing facilities and offices spanning an area of 15,600 square meters and boasts one of the most advanced wind tunnels in F1.